During this traditional Hatha yoga class you will listen and perhaps join me in chanting in Sanskrit at the beginning and end of each lesson. You lay down whilst being guided through a meditation of the body and breath and then we begin Asana practise. The class ends with 15 minute final relaxation and guided meditation. Swami Vishnu-Devananda describes 12 basic postures of yoga, these postures allow free movement of the spine in all directions which act as a tonic for the spine maintaining flexibility. 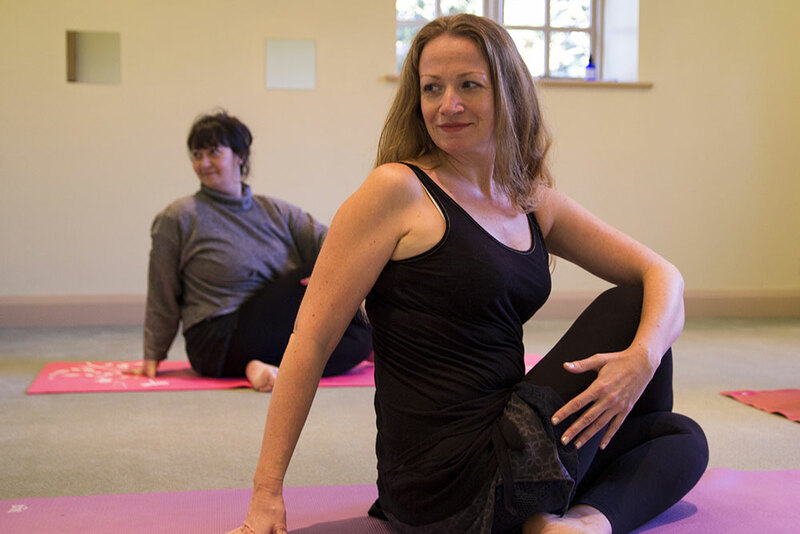 With regular practice you will enjoy increased levels of strength, stamina, stillness of mind and an overall sense of well-being, all very welcome side effects to the regular practise of yoga. 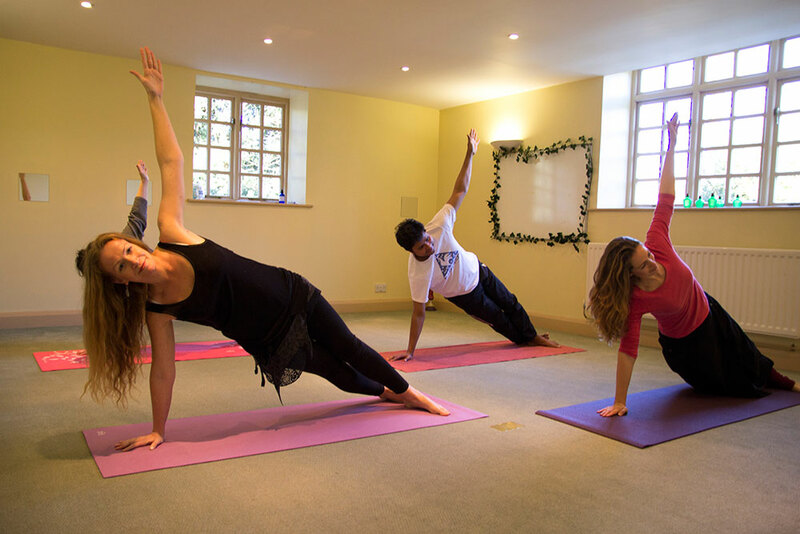 I have personally watched people’s lives transform with regular yoga practise and in particular private tuition where the class is tailor made for you. Clients have watched with amazement as their body eases into strength, a lightness in step is born and the freedom of movement soon replaces any restrictions once felt. Private tuition is suitable for all abilities young and old. Book a course of 4 and receive £20.00 discount. The choices are many but the results the same. A very relaxed you with a clearer mind, a happier body and deeper sense of emotional equilibrium. If you are unable to make your appointment please contact me as soon as possible. The full treatment fee must be paid for cancellations made less than 24 hours before your treatment. I have been going to Sarah’s Yoga classes for nearly 10 years now and I still really enjoy them and get so many benefits from them – both physically and mentally.